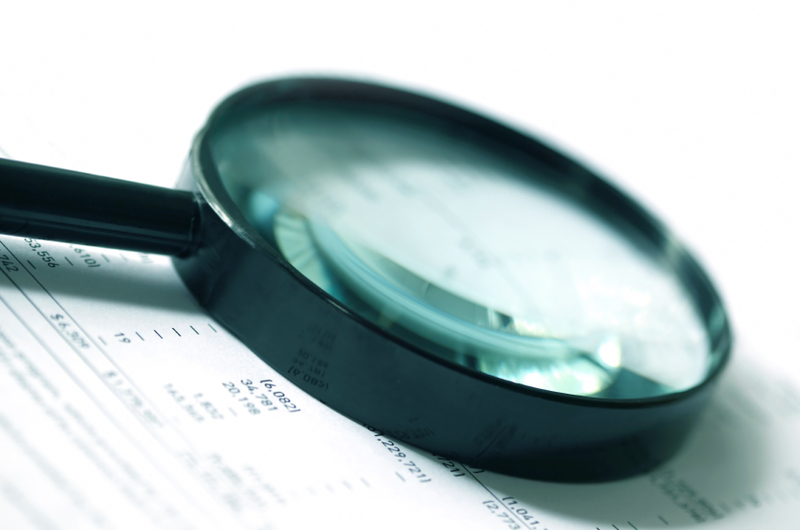 Accident investigation is the process of evaluating existing incidents in order to safeguard against future accidents. In order to do this we must first separate the incident from its outcome. Accidents are generally identified because there has been an outcome, rather than an incident. For example, if a builder working on scaffolding drops a brick which hits a passerby, it is tempting to think of the passerby as having had an accident, which might merely lead to strategies to keep members of the public, away. However, if we link it to the incident, we see the important thing to prevent is the dropping of the brick. The outcome of incidents is often a matter of chance; fatal injury, injury or ill-health, damage or some other loss. The concept of a ‘near miss’ is often used to describe incidents that do not lead to any significant outcome such as injury or property damage. However, as RoSPA’s occupational safety advisor Roger Bibbings has pointed out, effective analysis of ‘near misses’ can provide ‘gold dust’ when it comes to highlighting inadequacies in risk control systems and thus preventing future accidents. 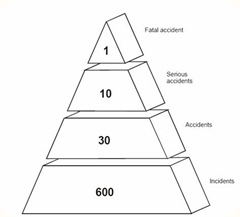 The relationship between serious and minor accidents and other dangerous incidents has been identified in a number of studies, including Frank E. Bird, Jr’s classic 1969 safety pyramid, which indicates an accident ratio of 1 major injury to 600 ‘near misses’. While it is worth emphasising that Bird’s study was of a certain large group at a given point in time (and it therefore does not necessarily follow that the ratio will be identical for other occupational groups), it’s nevertheless useful to illustrate the value of reacting to near-misses as a way of preventing rarer but more serious incidents. As we explained in our previous RIDDOR guide, the Reporting of Injuries, Diseases and Dangerous Occurrences Regulations 2013 (RIDDOR) place a legal duty on employers, the self-employed and people in control of work premises (the Responsible Person) to report certain serious workplace accidents, occupational diseases and specified dangerous occurrences (near misses). ‘Dangerous occurrences’ reportable under RIDDOR are a special class of near miss representing serious failures in control measures and their management, and it is these incidents that are particularly valuable for accident investigation purposes. enable analysis and evaluation of all significant causes – immediate, underlying and root. Investigators should then be able to identify risk control measures that were missing, inadequate or unused, and compare conditions/practices with what was required by legal requirements, codes of practice and guidance. Investigators must remain objective and unbiased to provide recommendations that will best prevent reoccurrence. It is only by carrying out investigations which identify root causal factors that organisations can learn from their past failures and prevent future ones. Simply dealing with immediate causal factors may provide a quick fix in the short term but over time the underlying/root causal factors that were not addressed will allow conditions to develop perhaps with more serious consequences. Therefore investigations that conclude operator error as the sole cause are rarely acceptable. There will be a number of underlying causes that created the environment in which human errors were inevitable, such as management, organisational or planning failures. It is important to remember that investigations should be conducted with accident prevention in mind, not the placing of blame. Only after the investigation has been completed is it appropriate to consider whether any individuals acted inappropriately. 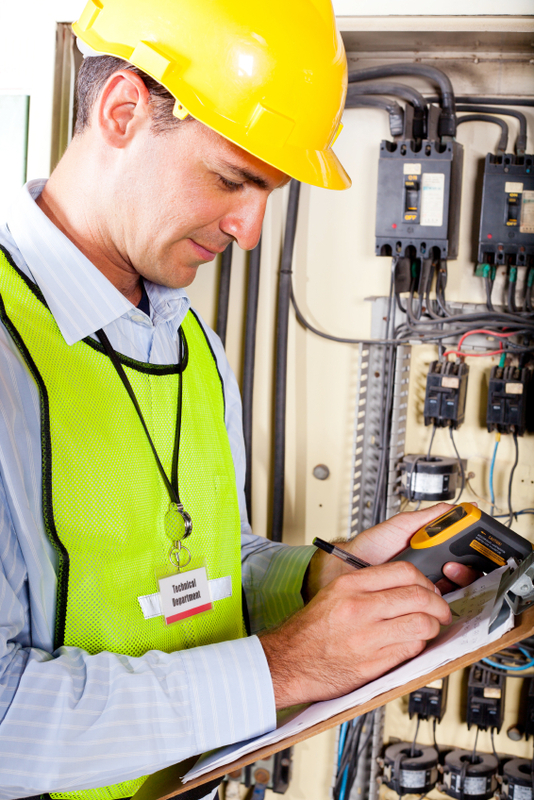 RoSPA provide a one-day Accident and Incident Investigation Training course, providing delegates with a broad understanding of the principles and practice of the accident investigation process, looking at the benefits of accident prevention and putting the emphasis on practical training exercises and real-life case studies. In addition to this, RoSPA also provides a bespoke Accident Investigation support service, designed to investigate an accident that has occurred at your workplace. This service helps ensure that a thorough and unbiased investigation takes place that explores all lines of enquiry and results in a prioritised remedial action plan designed to minimise the likelihood of similar accidents happening again. Finally, RoSPA offers a two-day Collision Investigation course, designed to give organisations the opportunity to learn from the collisions that their drivers have experienced, with a view to reducing the risk of them happening again. I totally agree with the message this article conveys. I spent seven years of my working life investigating accidents for HSE and the one thing at the back of my mind at all times was how can we avoid such an accident occurring again in the future. It’s very easy to participate in the blame culture and let the investigation become a witch hunt. However the most important aspect of all investigations into everything from minor incidents to fatal accidents is the prevention of further accidents through a thorough understanding of the processes that led up to the incident/accident in the first place. A failure to take away such lessons from an investigation is tantamount to neglect, and all work management systems must include procedures to ensure those lessons are not only learned but are acted upon. I second that. Identification of root cause is indeed very important and analyzing the behavior of accident can be the only mean. Well, Thanks for sharing such a detailed post, very insightful! Great advice. Many companies only manage to identify the direct causes of an accident and miss the opportunity to uncover the underlying and root causes and thus prevent future accidents.